The Boston Marathon is woven into the fabric of our community: it brings together runners from around the world, spectators, family members, and neighbors, creating a tapestry of people stretching from Hopkinton to downtown Boston. The April 15, 2013, bombing at the Marathon finish line aimed to destroy that fabric. From May 2013 to the fall of 2014, Our Marathon invited interested parties to help mend and strengthen the fabric of our community by contributing stories and media to our digital archive. The project was originally founded in April 2013 by faculty and students affiliated with the NULab for Texts, Maps, and Networks in the College of Social Sciences and Humanities at Northeastern University. 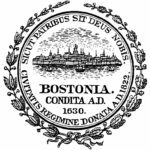 Since September 2014 the Digital Scholarship Group at Northeastern University Libraries has managed the site and its long-term migration and preservation. Our Marathon is a crowdsourced archive of pictures, videos, stories, and even social media related to the Boston Marathon; the bombing on April 15, 2013; the subsequent search, capture, and trial of the individuals who planted the bombs; and the city’s healing process. Our Marathon allows the public to explore not only what happened during the event, but also how the event was experienced by Bostonians, visitors to the city, and those many members of the “Boston diaspora” who were far away but deeply engaged in the unfolding events. The archive serves as a long-term memorial, preserving these records for students and researchers, providing future historians with invaluable, local windows into an important national event. Much of the media attention in the wake of the bombing focused on the two men accused of planting the bombs, as well as, importantly, on the victims and survivors of the violence. We see this project as a way to allow a wider range of important stories about these events to be told and shared. The bombings changed lives in ways small and large and in ways that were immediate and more enduring. This is a place for those images, emotions, and experiences to be shared and for us to understand the event in its broad, community-wide dimensions. “Share Your Story” events at Boston Public Library main branch (multiple dates coinciding with the one-year anniversary and the “Dear Boston” physical exhibit at the BPL), Brookline Public Library, Cambridge Public Library, Newton Free Public Library, Pollard Library (Lowell, MA), Stoneham Public Library, MIT, and Watertown Free Public Library. Our Marathon 1.0 was made with Omeka, a content management system that made it possible for the project team to gather digital items, solicit and collect crowdsourced contributions, create metadata, build digital exhibits, and publish materials. More specifically, we used Omeka Version 2.0.3 with the following plugins: Advanced Search, Calendar, COinS, CSV Import, Dublin Core Extended, Exhibit Builder, Geolocation, Guest User, Hide Elements, HTML5 Media, Neatline (and the Widgets for SIMILE Timeline, Text, and Waypoints), OAI-PMH Harvester, OAI-PMH Repository, Record Relations, Search By Metadata, SimpleContactForm, Simple Pages, User Profiles, Vimeo Plugin. Additional customization involved the creation of a modified Contribution Plugin (by Becky Ferris) and a customized Omeka theme. Items and metadata were migrated into the Northeastern University Digital Repository Service in 2017-18. Student exhibit content was archived as PDFs and images and then migrated as item content. The original Our Marathon project site featured three digital exhibits created with the plugin Neatline. “One Boston” and “Peace in Boston” were exhibits that digitally annotated posters from the Boston City Archives collection. These exhibits were created by Nate Rehm-Daly with consultation from Ryan Cordell and Jim McGrath. A third exhibit, “Our City: Boston and The Boston Red Sox,” featured an annotated image of Fenway Park and highlighted the team’s response in the aftermath of the bombings. “Our City” was created by Claudia Willett. Unfortunately, these exhibits were not able to be ingested into Northeastern’s Digital Repository Service. Elizabeth Maddock Dillon is Professor and Chair of the Department of English and Co-director of the NULab for Texts, Maps, and Networks at Northeastern University. She teaches courses in the fields of early American literature, Atlantic theatre and performance, and transatlantic print culture. She is the author of New World Drama: The Performative Commons in the Atlantic World, 1649-1849 (Duke University Press, 2014) which won the Barnard Hewitt Award for Outstanding Research in Theatre History from the American Society for Theatre Research and The Gender of Freedom: Fictions of Liberalism and the Literary Public Sphere (Stanford University Press, 2004), which won the Heyman Prize for Outstanding Publication in the Humanities at Yale University. She is co-editor with Michael Drexler of The Haitian Revolution and the Early U.S.: Histories, Geographies, Textualities (2016), from the University of Pennsylvania Press. Ryan Cordell is assistant professor of English at Northeastern University and a core founding faculty member in the NULab for Texts, Maps, and Networks. His scholarship seeks to illuminate how technologies of production, reception, and remediation shape the meanings of texts within communities. Cordell primarily studies circulation and reprinting in nineteenth-century American newspapers, but his interests extend to the influence of computation and digitization on contemporary reading, writing, and research. Cordell collaborates with colleagues in English, history, and computer science on the NEH- and ACLS-funded Viral Texts project, which is using robust data mining tools to discover borrowed texts across large-scale archives of nineteenth-century periodicals. Cordell is also a primary investigator in the Digging Into Data project Oceanic Exchanges, a six-nation effort examining patterns of information flow across national and linguistic boundaries in nineteenth century newspapers. Cordell is also a senior fellow in the Andrew W. Mellon Society of Critical Bibliography at the Rare Book School and serves on the executive committee of the MLA’s Forum on Bibliography and Scholarly Editing. Jim received his Ph.D. in English from Northeastern University in 2015. His dissertation explores intersections between contemporary American poetry and new media. His research interests include digital archives, aesthetic theory, new media studies, cultural materialism, and contemporary American poetry. He posts on Twitter as @JimMc_Grath. Alicia is the Digital Scholarship Specialist at Bryn Mawr College. She received her Ph.D. from Northeastern University in 2014. Her dissertation explored the crucial contributions several women made to early-twentieth century discussions about “nature” and the environment. In addition to her work on the Our Marathon project, she has served as the Project Manager for the Women Writers Project and the Development Editor at GradHacker, a blog at the Chronicle of Higher Education. She has also organized or co-organized six graduate conferences and a number of writing groups. She posts on Twitter as @aliciapeaker. Jane holds a Ph.D. in Folklore & Folklife from the University of Pennsylvania. She was the Director of Oral History and Online Collecting at the Jewish Women’s Archive from 1998-2009, where she oversaw groundbreaking oral history collections, including “Katrina’s Jewish Voices,” an oral history and digital archive documenting the Jewish community’s response to Hurricane Katrina. As an oral historian and consultant, Guberman works with cultural, educational, and communal organizations nationwide to create oral history programs for capturing and preserving stories and to provide training for students, professional staff, and community volunteers. She also continues to draw out and preserve the life stories of a wide range of individuals for families, organizations, and communities. Joanna received an M.F.A. from Columbia University in nonfiction writing and a B.A. from Marymount University in English Literature. She was an interviewer for the September 11, 2001 Oral History Narrative and Memory Project, and has presented her work on that project at the Columbia Center for Oral History Summer Institute. O’Brien has worked in communications and research for United States Senator Edward M. Kennedy, Ambassador Caroline Kennedy, the International Rescue Committee and the Peace Corps. Her writing has been published in America and Letter Arts Review, at the 17th International Oral History Association Conference and at Beth Israel Deaconess Medical Center online. O’Brien is on the steering committee for the John F. Kennedy Library Foundation’s New Frontier Network. She posts on Twitter as @jsheaobrien. Kristi received her Ph.D. from Northeastern University in 2016. Her research interests include multimodal texts, multilingual writers, and language politics. She's also interested in university-community partnerships and public writing. She posts on Twitter as @kristigirdharry. Ryan completed a masters degree at Simmons University in Library and Information Science in 2014. Along with being a notable Capricorn, Ryan has a diverse background having worked in various fields including video and radio broadcasting. Ryan hasn't had a Facebook since 2007, but fortunately you can find him at the Multimedia Lab at Simmons University where his official title is "Multimedia Specialist." His family still has no idea what he actually does. The list above includes those who have been directly employed by the project, though many more employees of Northeastern University have contributed their time and expertise to this project. We are grateful for the vision and commitment of Giordana Mecagni and Michelle Romero to preserve the objects and metadata of Our Marathon in perpetuity; to Patrick Yott, Karl Yee, and Ernesto Valencia for their technical expertise; Tom Urell for help with design and communications; and Sarah Sweeney and Daniel Jergovic for the creation of metadata guidelines. We have been overwhelmed by the outpouring of support and the number of volunteers who have helped the project in innumerable ways. This is by no means a complete list, but we’d like to acknowledge the work of: Jessica Bolandrina (Northeastern), Catherine Boutin (Simmons), John Campopiano (Simmons), Elizabeth Carron (Simmons), Michelle Chiles (MIT), Marta Crilly (Boston City Archives), Julia Demir (Simmons), Elise Dunham (Simmons), Yvonne Fraser (Simmons), Julia Hayton (Simmons), Zhan Hu (Simmons), Joan Ilacqua (Center for the History of Medicine at Harvard), Caitlin Jones (Simmons), Lin Lin (Simmons), Anne Lundregan (Simmons), Araceli Mendez (Simmons), Crystal Miller (Simmons), Annalisa Moretti (Simmons), Warren Nelson (Simmons), Briana Nestor (Emerson), Kate Oh (Simmons), Vicky Papa (Northeastern), Anne Star, Rainey Tisdale (Independent Museum Curator), Meghan Tremblay (Northeastern), Bruce Vencill (Simmons), Claudia Willett (Simmons), Anna Williams (Northeastern), and Mallory Witzig (Simmons).